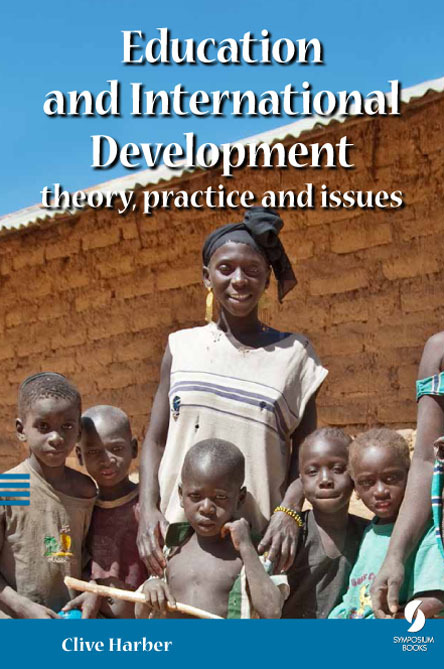 This book is a comprehensive introductory text for those beginning their studies of the complex yet fascinating area of education and international development. It sets out an overview of the main theories, ideologies and issues of education in developing countries, always with an eye to the contextual and practical realities of life in schools and other educational institutions. The book takes a balanced yet critical approach and examines both positive and negative aspects of the many relationships between education and development. It will be of use to undergraduate, master’s and doctoral students as well as to staff in higher education who teach on courses concerned with education and development and those who work in international institutions and non-governmental organisations. Inspection copies are available to lecturers with students on education and development programmes. If you wish to consider this book for adoption by your students please contact our publisher Roger Osborn-King with details of your course (rok@symposium-books.co.uk). Economic Development: human capital or dependency and socio-economic reproduction? Modernisation or the ‘Prismatic’ Society and Institution? Education as Harmful to Development? CLIVE HARBER is Emeritus Professor of International Education at the University of Birmingham, United Kingdom, and Honorary Professor at the University of South Africa in Pretoria. From 1995 to 1999, he was Head of the School of Education at the then University of Natal, now KwaZulu Natal, and from 2003 to 2006, he was Head of the School of Education at the University of Birmingham. He has a long-standing interest in education and development and, in particular, education and political development, and has carried out research and published widely on themes related to these areas. He has been an editor of the International Journal of Educational Development since the early 1980s and was Chair of the British Association for Comparative and International Education between 2004 and 2006.